Everything to create and decorate 24 foam masks. Includes six each of four different foam masks. Also includes stretchy cord, feathers, glitter glue and sequins. Everything you need to create and decorate 24 foam masks all in one convenient kit. 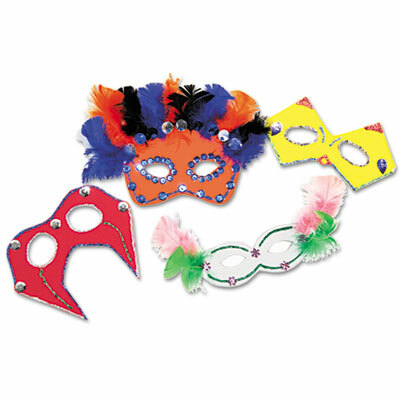 Includes six each of four different foam masks, stretchy cord, feathers, glitter glue and sequins. A great project to tie in with Drama or Language Arts lessons. Click here to see more Foam Kits!